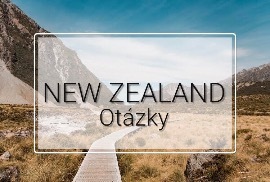 Odpověď by měla obsahovat fakta o Novém Zélandu. Where on the world map do you find New Zealand? Tell me about it. Is New Zealand an island or an in-land country? Tell me about it. What is the capital of New Zealand and where is it situated? Tell me about it. Is New Zealand interesting talking about its countryside? Tell me about it. How far is it from New Zealand to Australia? Tell me about it. How can you travel from the Czech Republic to New Zealand? Tell me about it. Which typical things come to your mind when you think about New Zealand? Tell me about it. What is special about the mountains in New Zealand? Tell me about it. Which languages are spoken in New Zealand? Tell me about it. Who are the original people of New Zealand? Tell me about it. Who first discovered New Zealand? Tell me about it. Is New Zealand an independent or a dependent country? Tell me about it. Which famous people from New Zealand can you mention? Tell me about it. What is special about the culture of New Zealand? Tell me about it. Which movies were filmed in New Zealand? Tell me about it. What is the climate like in New Zealand? Tell me about it. Which animal is typically from New Zealand? Tell me about it. Have you ever thought of travelling to New Zealand? Why? / Why not? Which facts amaze you about New Zealand? Tell me about it. If you travelled to New Zealand, would you consider having a job there? Why? /Why not? How much is a flight ticket to New Zealand? Tell me about it. Would you like to spend some time with the Maori people? Why? / Why not? Jak si s tímto zadáním o Novém Zélandu poradíte Vy? 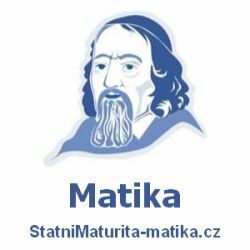 Příspěvek byl publikován v rubrice Nový Zéland se štítky New Zealand a jeho autorem je NovýAmos.cz. Můžete si jeho odkaz uložit mezi své oblíbené záložky nebo ho sdílet s přáteli.